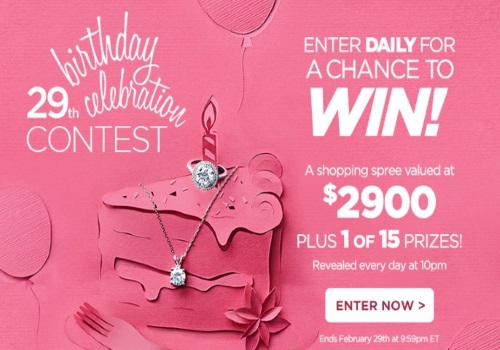 The Shopping Channel is celebrating their 29th birthday with a contest! Enter to win 1 of 15 prizes, each one is revealed everyday at 10pm. Contest period is divided into 15 daily entry prizes starting at 10pm until 9:59pm the following day. 16 prizes are available to be won, as follows: 1 grand prize valued at $2,900, consisting of a TSC Shopping Spree and 15 secondary prizes, each valued between $150 – $449, consisting of a TSC prize pack. Contest closes February 29, 2016.